Oorthuys belonged to the generation of photographers who, basing their approach on the New Photography of the inter-war years, had a decisive influence on the later development of documentary photography in the Netherlands. Trained as an architect, he practiced that profession only briefly before switching to photography in 1936. 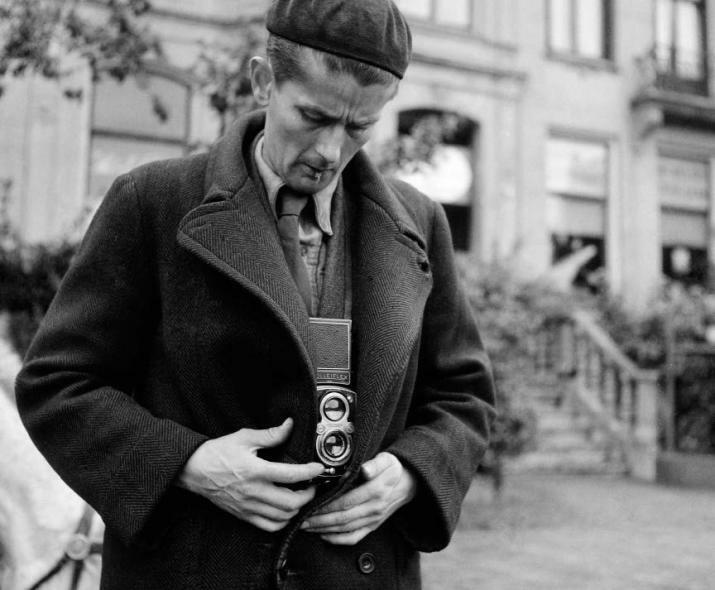 During the Second World War, he became involved with the resistance against the German occupation of the Netherlands and ‘illegally’ photographed the suffering of the population during the final ‘Hunger Winter’. After the Liberation, Cas Oorthuys became the leading photographer of postwar Dutch reconstruction and worked with a team producing pioneering artistic photo books for industrial and corporate clients. His photo book about the Indonesian struggle for independence clashed with mainstream public opinion in the Netherlands and marks his last use of photography as a political weapon. Through his close involvement with the production of popular photo books commissioned by Contact, he determined the image of the Dutch landscape in the minds of much of the population until long after the war. His archives count over 440 000 negatives which only a small part has been published. A survey exhibition presented at the Nederlands Fotomuseum of Rotterdam in Fall 2018 and the monograph published by Éditions Xavier Barral reveal for the first time the breadth of his work. His combination of innovativeness, enthusiasm, political engagement, business acumen and high productivity made him a major figure of European post-war photography.